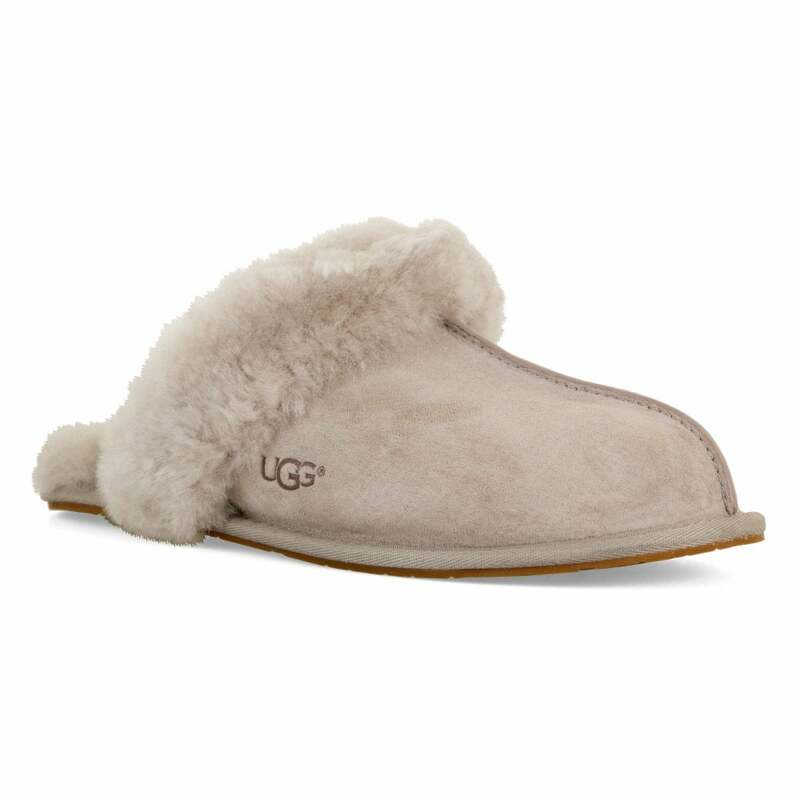 These slip-on UGG Scuffette II Slippers have a suede & sheepskin water resistant upper and are light grey in colour. They have a sheepskin & wool lining, also in light grey with UGG branding impressed into the sides in dark brown. The rubber sole has a textured tread for excellent grip.